Trusting a powerful authority is easy. It allows us to have a quick shorthand for how things work without having to go through the pain, effort, & expense to figure things out. But it often leads to bogus solutions. This video does a great job of explaining how nothing replaces experience in the SEO industry. A combination of numerous parallel projects, years of trial and error experience & a deep study of analytics data is far superior to having the God complex & feeling 100% certain you are right. Change is the only constant in SEO. investing in exact match domains was generally far more profitable in 2006 than it would be today. It is the contrarian investors who are taking (what is generally perceived to be) big risks who are allowed to ride a trend for years and years. When Panda happened a lot of theories were thrown out as to what happened & how to fix it. Anyone who only runs 1 website is working from a limited data set and a limited set of experience. They could of course decide to do everything, but there is an opportunity cost to doing anything. Making things worse, if they have limited savings & no other revenue producing websites there are some risks they simply can't take. They can still sorta infer some stuff from looking at the search results, but those who have multiple sites where some were hit and others were not know intimately well the differences between the sites. They also have cashflow to fund additional trial and error campaigns & to double down on the pieces that are working to offset the losses. A lot of times people want to enter a market with a grand plan that they can follow without changing it once the map is made, but almost anyone who creates something that is successful is forced to change. Every year in the United States 10% of companies go under! And due to the increased level of competition online it likely separates winners from losers even faster than in the offline world. Those who stick to a grand plan are less able to keep up with innovation than those who have an allegiance to the data. Sometimes having a backup plan is far more important than having a grand plan. Almost anything that I have done that has been successful has started ugly & improved over time. This site was an $8 domain & I couldn't even afford a $99 logo for it until I was a couple months into building it. Most of our other successes have been that way as well. If something works keep reinvesting until the margins drop. But when the margins do drop off, it is helpful to have another project you can invest in, such that you are not 1 and done. The earliest Google research highlighted how ad-based search business models were bad & the now bankrupt Excite.com turned down buying Google for under $1 million. It turns out everyone was wrong there. One company adjusted & the other is bankrupt. We don't control Google. We can only influence variables that they have decided to count. As their business interests and business models change (along with the structure of the web) so must we. The God complex always look a bit interesting from afar, no matter how reasonable it sounds to the true believer. While many of Demand Media's sites got dinged in the first update, the fall of content farms in general meant that any site operating in that space which was not hit ended up seeing a sharp increase in traffic (as so much of the competition fell). As sites like AnswerBag and Livestrong fell, eHow's traffic increased significantly. I believe Google didn't want to rely on end user block data because it would make it easy for people to do competitive sabotage, however I think they needed to use it in order to hit eHow with the update. eHow had a number of signals (some older quality content, nice web design, syndication partnerships, tons of media exposure, etc.) which made it hard to whack it without creating too much collateral damage unless the block data was used. In the first two weeks of January, 0.57 percent of those who departed Google next visited a site operated by Demand Media ... by mid-April, with the full suite of Panda updates in place, Demand was feeling the pain. 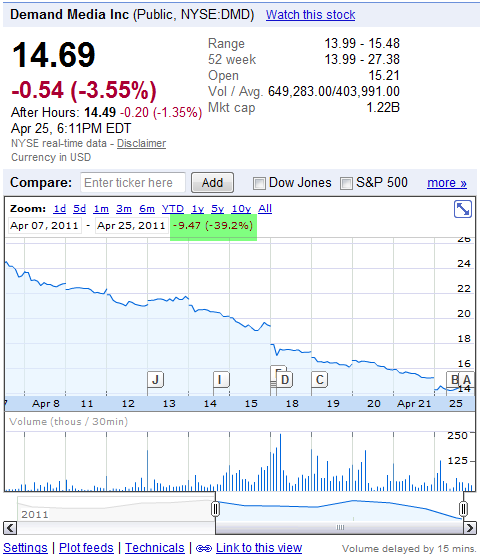 As of April 16, it accounted for only 0.34 percent of Google’s downstream, a 40 percent decline from the start of 2011. With that in mind, let's consider why eHow got torched. Here is a visual interpretation of the rise & fall of content farms. Here is part 1 of the eHow story, and part 2 follows below. Ultimately I believe if content farms did not market themselves as sleazy operations almost nobody would have noticed or cared. You didn't see many people talking about "the content farm problem" until after Demand Media was featured in Wired as the cheap, disposable answer factory. That article not only inflamed journalists (who were losing their jobs due to downsizing, outsourcing, and technology changes), but also inflamed anyone who created original content and later saw a rewrite of their own work replaced by eHow. That article (which claimed eHow to be profitable as hell, a fuzzy claim depending on how one accounts for content depreciation) was aimed at trying to position Demand for an IPO and to try to pull in more media syndication partnerships. What it did was inflame the web community & encourage others to play the same game & create content farms based on the blueprint Demand gave away. When a piece of marketing either pisses off almost everyone & encourages many of the people who are not pissed off to compete directly against you & cut your margins it is not a successful marketing approach. The larger your scale is the easier it is to find something wrong with what you are doing. 1% of a really big number is much greater than 10% of a rather small number. If you are cutting corners & operating at scale & create a lot of enemies then I wish you the best of luck, because you are going to need it! How to Get a DUI ehow.com/how_4825159_get-a-dui.html "You might think getting a DUI is as easy as getting behind the wheel of a car after drinking alcohol. But that's only half the battle. You also need to get pulled over by law enforcement and cited for it." "Don't leave trails which can and will turn into signs you're cheating. First point to remember is to not use any computer your partner has access to when you communicate via email or IM to the cohort." Demand Media bought out a leading domain registrar named eNom & leveraged some of the expired domains with links to prop up eHow, by 301 redirecting those domains into eHow's deep pages. If you throw off links you get some love for it from your fellow webmaster, but no publishers like a PageRank black hole (unless they own it). eHow was not only churning out loads of shallow content, but Demand Media was also using the data gleaned from eHow to make sister sites which included auto-generated pages and feeding search engines their own results. Doing one thing and claiming another can provide cover for some finite period of time, but ultimately when you create such a spectacle out of Google that your exploitative ways become the core marketing message for Google's competitors you know your days are numbered. And given that the Wired piece made the media hate Demand Media, there was nobody left to defend them other than folks who would also seem in some way conflicted. Ultimately this goes back to the core issue that hurt Demand Media: branding. Don't make Google look stupid. That is the #1 rule of SEO. Much noise was made recently about Google taking a whack at so-called content farms -- sites which apply industrial production techniques to the creation of content targeting the long-tail of the query distribution. This is a subject of huge interest to many Internet businesses, either because they advertise on the AdWords Content Network (and, by extension, on content farms), because they compete with content farms on particular searches, or merely because they hate seeing content farms in their search results. As luck has it, I am three for three. It pains me to say it, but content farming is here to stay. It is an economic inevitability. Much of the Internet currently operates in an attention economy, a level or two removed from direct monetization. Facebook is worth in excess of 50 billion not just because they're making money hand over fist -- though they are -- but because they have achieved a dominant position in the attention economy, and they command such huge rivers of attention that they can trade trickles of it to people for actual money. Google is the dominant player in the attention economy -- they harvest vast amounts of attention via controlling navigation on the Internet (via a commanding lead in search), they sell attention in the form of AdWords ads, and they provide a marketplace for attention with their AdSense product. Individual publishers -- from the New York Times down to the smallest hobbyist site on the Internet -- are also largely in the attention economy. For a mega-brand like the New York Times, attention can be generated -- they can literally make news. Disney has a repeatable industrial process which takes as input one female teenager and produces as output a cultural phenomenon with hundreds of thousands of rabid fans. Smaller players -- Google back in the dorm room days or hobbyist sites today -- largely cannot create attention on these scales, they can only harvest attention which already exists. Attention exists in the world for things independent of their own existence. People play golf. People bake cookies. People read Dan Brown novels. People receive massages. For all these things and more, people demand content: they want to improve their golf swing, they want new cookie recipes, they want new Dan Brown novels, they want massage how-to videos. And they are willing to pay with attention, a scarce commodity which can be converted into cash. Consider a hypothetical Internet with no efficient way of converting attention into money. This is not difficult to imagine: it was essentially the Internet of the dot-com bubble, where everyone wanted "eyeballs" but "eyeballs" plus banner advertising resulted in economically non-viable businesses. In this hypothetical Internet, content is mostly produced by people who have intrinsic reasons for creating it: hobbyists who want to share their passion, law professors who want to increase their professional reputation, governments who need to employ somebody and might as well employ a webmaster, and the like. This is widely viewed as a Garden of Eden scenario: the Internet, without the corrupting influence of money. We had this Internet, and the average user experience was miserable. Ability to publish content on the Internet was once dominated by presence of arcane technical skills (being a "webmaster", a title which thankfully has fallen out of fashion). Webmasters were, by and large, very geeky people. They largely scratched their own itches, which (predictably) resulted in an Internet chock-full of Dungeons and Dragons character sheets, trivia about Matter-Eater Lad, and fansubbed anime episodes. Less well-represented on the Garden of Eden Internet was content appealing to demographics which don't intersect with geeks that often. Women, the very young, the elderly, non-English speakers, etc etc, were across a very real digital divide from the D&D players. You could still find advice on how to make an apple pie online, but if you did, it was because you got lucky and had a CS professor with quirky interests (for a CS professor, at any rate). This started to change with the widespread adoption of content management systems, which took the level of computer skill for content creation down from "close to programming" to "close to using a word processor." The first very popular CMSes were blogs, and there was much triumphantalist backslapping among bloggers that blogging was democratizing the Internet. You could be blogging in your pajamas and still take on the New York Times, or so the argument went. Ability to use a word processor is more widely spread among the population than webmastering skills, but it is still a far cry from universal. Blogging caught on primarily with professional communicators: professors, journalists, and other folks who had long been using skill with the printed word and perceived authority with pre-existing audiences. Concurrent with this, there was an explosion of content creation aimed at the concerns of well-educated, middle-class American white urban professionals. Politics, financial advice, education, religion, international news: covered, covered, covered, both by established media and publishing interests moving online and by the new media (rather like the old media, except with orders of magnitude lower capital requirements). Content was now a democracy, in the same sense that America after the Revolution was a democracy: white property owners could be reasonably assured of having their interests represented. There still existed massive demand -- unharvested attention -- for content outside the early adopters of the Internet. Larger scale online publishers began to go after the head of the demand distribution, and hobbyist sites continued to publish things like apple pie recipes, often with a quantum leap in presentational quality from just a few years previously. 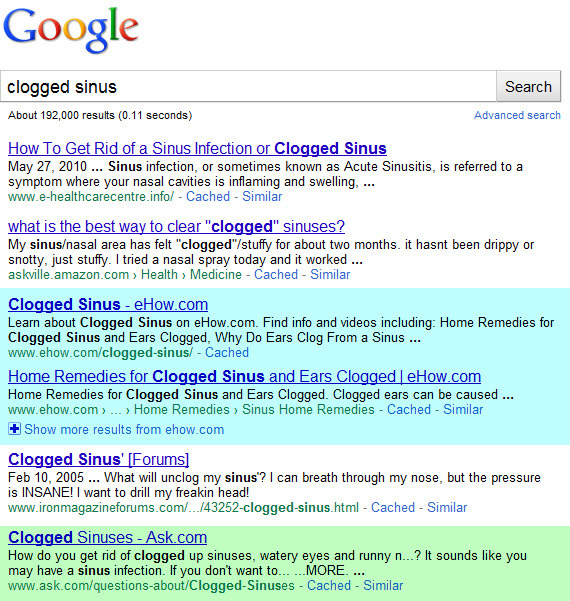 Google AdWords was one of the primary lubricants for making this happen -- a hobbyist site dominating a niche like e.g. apple pies could suddenly generate non-trivial amounts of money for the site owner, largely by taking transaction costs about negotiating advertising sales out of the equation. This also allowed Google to monetize its own attention surplus better, because sending a searcher to a site with AdSense on it gives them a second chance at getting paid for a click. AdSense has generated roughly a third of Google's revenue for the last several years. With technology continuing to bring down barriers to creating content and business model optimization like AdWords improving the opportunity to monetize attention, it was virtually inevitable that eventually the supply and demand curves would cross. They long since had for high-value verticals like e.g. mortgages, where huge transaction volumes, high margins, gigantic advertising spends, and liquid affiliate/lead gen markets have long subsidized huge volumes of content creation. Many quite savvy Internet users were simply unaware this had happened, since one does not search for mortgages or poker every day. The Internet is a virtually uncountable multitude of attention markets, and in many of them it was more expensive to create content than the harvestable attention could justify. Those niches continued to be underserved, in the capitalist sense of the word: people would have consumed more content for them, but that content did not exist. Then disruptive innovation happened: basically, a number of firms figured out that the combination of algorithmically predicting attention plus outsourcing content creation could let them exploit relatively small amounts of attention, in parallel, at massive scales. This innovation caused the supply and demand curves to cross for a huge number of attention markets which had not crossed before. The result: content farming at massive, massive scale. Consider bingo cards for elementary schoolteachers, a very niche subject that happens to pay my rent. Attention exists for it: bingo has long been used in American classrooms to review vocabulary across a variety of subjects. As teachers and parents gradually started using the Internet and using Google, their attention about bingo -- a tiny, tiny sliver of the massive river of attention Google controls -- became up for grabs. Some flowed to hobbyist sites like my own, some flowed to larger publishers like the NYT's About.com unit, and some was simply poorly served. Teachers typed queries into Google and got garbage results which were not responsive. My market has massive seasonal changes in attention, so let's look at consistent month-long slices of it, compared year-to-year. Here's a tale of four Februaries. In 2008, my AdWords spend was dominated by legacy Internet publishers like About.com, niche publishers in education, and hobbyist sites. Total spend was about $370, of which About captured almost $70 (~19%). In 2009, hobbyist sites and niche publishers decline with the ascendancy of a new publisher called Kaboose, an early iteration of a content farm, focused on topics of interest to women (including, e.g., bingo). Total spend was about $560, of which Kaboose captured almost $160 (a whopping 29%), more than quintupling their performance from 2008. Or, to put it another way, more than half of increase in the size of this small attention market can be attributed to one publisher. 2009 also sees a new site in my top 10: a minor player called eHow run by an obscure firm Demand Media. In 2010, spend again increases (to $640), and the top positions are dominated by content farms and ezinearticles, a legacy crowdsourced content farm. Kaboose loses share to new content farm entrants, and eHow has comparatively modest 50% year over year growth. Content farms now control over a third of this attention market. Zooming in on the performance of just one of these pages, about Valentine's bingo for churches, I paid $9 for ads on it in February 2011. If we make the unreasonably pessimistic assumption that it never makes money except in February, and that the remnant image advertising is basically a wash (not true, given the amount that Groupon and online games throw around at monetizing it), this suggests that the four text ads on the page probably generated on the order of $30 in revenue. Google's 68% revenue share means that Demand Media got about $20 in revenue from this page... in 2011 alone. Content farms are targeting evergreen content, though: Valentine's Day is going to happen in 2012, and there will still exist churches who want to play bingo on it. Will revenue from this page go to zero? That is highly unlikely, because this page wasn't written in 2011 -- it was written in 2010, when I paid $1 for ads in it (implying about $2 in revenue). Due to changes in the search environment and Demand Media's increasing sophistication with leveraging internal traffic, it got nine times more valuable at no marginal cost in the course of a single year. Content farms operate on a portfolio strategy: the pieces of content which succeed, like that page, subsidize the pieces of content which don't. As long as the average revenue portfolio-wide exceeds cost of content production, one should expect the content farms to pour capital into content production and scale it to the moon. The portfolio strategy appears to be winning, judging by eHow's meteoric rise in revenue and the demonstrated ability for content farms to choke out non-farming content sources. eHow alone showed my ads on five times as many pages in 2011 as in 2010. And why wouldn't they? The unit economics of content farming are stunningly attractive. Demand Media pays on the order of $10 to have the 312 words on that page written and edited. If Wall Street could design an equity which cost $10 and paid $2 per share in 2010, $20 per share in 2011, and an unknown but positive amount thereafter, all other investment classes would be virtually obsolete. The only problem is systemic risks. The only thing that can reverse this is content getting more expensive to create or attention getting scarcer (or harder to monetize) for these markets. There is more attention to monetize: It is possible that Internet use will decline in the future, but I will offer excellent odds to anyone who wishes to bet that: Kansas schoolmarms in the elementary bingo market have quite a ways to go before they catch up to the average reader of this blog in online consumption, which predicts a large aggregate increase in attention harvestable on the Internet and even larger proportional increases to the attention markets they care about. Google and advertisers increasing cost of attention: Ignoring huge sources of attention of dubious worth, like ads displayed next to Facebook games, an AdSense ad displayed to someone 2 seconds after they type in a query into Google is, essentially, a search ad. Read that again, because it is important. This means that content farms are essentially in the search ad monetization business -- i.e. the most profitable business in the history of the Internet. Search ads monetize extraordinarily well because in addition to capturing user attention they come with user intent. This makes them orders of magnitude more valuable than the old banner display networks (which users quickly become blind to), sidebar ads next to Farmville or pictures of that cute girl from chemistry class, and the like. 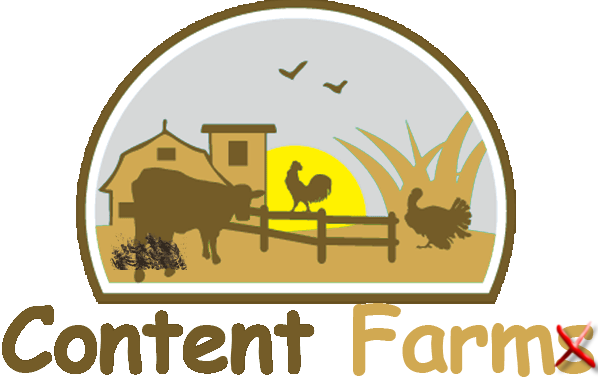 Content farms preserve search intent because the laser targetting combination of their one-topic pages and AdSense means that the AdSense ads are guaranteed to be responsive content to the search and, give that everything else on the page was written by a content farm, the ads are the best content on the page. Sure, farms cede a large portion of the reach of search to actual search engines, since they can't rank for head queries, but even 5% of Google's market cap would be nothing to sneeze at. Google has incentives to help them rather than competing with them. Meanwhile, any market with competitors will tend to drive the cost of ads up until they have expended all of their margin on the sale. For a high-margin category like software, if my competitor is willing to pay 51% of his sale price to generate one marginal sale (when you back it out to cost-per-click prices), I'm willing to bid 51%. The equilibrium outcome is that my advertising costs increase over time while my ROI decreases, but it remains profitable and I'd be a fool not to do it. Google and their publishing partners win and win big. This Is Old News. Google Fixed Content Farming... Right? Back in late February 2011, Google rolled out the Panda update, which was widely perceived to be aimed at content farms. What actually happened was that it separated Content Farming 1.0 from Content Farming 2.0 -- earlier entrants like ezinearticles and Mahalo (and a raft of sites you've never heard about) lost out to better executing farms, including eHow. For example, instead of comparing Februaries like we did earlier, let's see the progression of Marches in the bingo niche. Largely due to the absence of Valentine's Day, March consistently has less attention available than February: aside from an anomalous 2008 (long story with short moral: don't bork your AdWords code), spends fell 28% in 2009 and 17% in 2010. The decline was much more pronounced in 2011, possibly attributable to Panda reshaping the attention economy landscape: it jumped to 37%. Summed over all the content farmers, Panda appears to have picked a winner with regards to this slice of the attention economy: eHow. I had been wistfully hoping that when the content farms got crushed that my site, which competes with them for many queries, would pick up some of the redistributed attention. If this happened, it has been too minor to notice in my Analytics stats -- my organic searches from Google look roughly in line with where I would expect them to be absent Panda. The big winner and the big losers appear to be concentrated among farmers, with fairly minor spillover to the rest of this sliver of the attention economy. This makes sense to me, in a way -- I simply don't have a page which is more responsive to the need for church Valentine's bingo activities than eHow's does. I believe my pages are far and away better than eHow's -- my pages about making bingo cards will actually let you make bingo cards -- but reasonable people could disagree on whether that is more important than capturing all parts of the user's intent, including the "specifically for churches" bit of it. Outside of my narrow slice of the online experience, a Big Publisher advocacy group estimates that the Panda update redistributed $1 billion in advertising revenue, which is nothing to sneeze at. However, with the Content Network generating over $20 billion in annual ad sales, $1 billion looks less like a fundamental shift and more like repartitioning scraps left to the losers. Only the economics can kill farming, and it does not appear that Panda meaningfully changes the microeconomics of content farms. If you can sell $40 of ads against a $10 page prior to Panda, and after Panda you can only sell $20 of ads, well, farm on. The model scales to the moon as long as the portfolio is even marginally profitable. The losing farms will also be incentivized to go back to the drawing board and reevaluate where they place their content bets: perhaps it is no longer lucrative enough for them to go after certain micro-markets, like elementary school bingo cards (or like the bottom half of elementary school bingo cards), but their more valuable markets are probably still stupidly profitable. Those will get more competitive as they redeploy their content creation resources going forward, assuming they're capable at executing on that. Demand Media, on the other hand, is grinning like the cat that just caught the canary. Not only is their core business proposition virtually unaffected, in spite of the worst nightmare of their business model (Google coming down on it like the fist of an angry god) coming true, their unit economics down the tail just got radically better. Going forward, they can expect less competition in the less lucrative markets, allowing them to capture larger fragments of the attention available in those markets, and proportionally higher revenues. 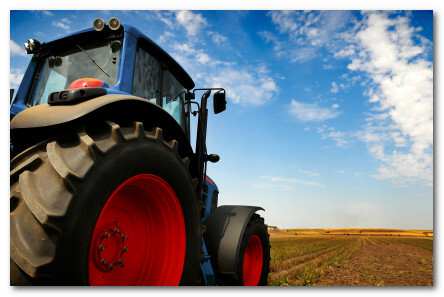 The Future: Outfarming The Farmers? A frequent theme of dystopian science fiction is that man-machine hybrids outcompete the human race. Algorithmic/freelancer hybrids, like content farms, are pretty much there, for a large and increasing portion of the content tail. This is going to get exacerbated by changes in content production and consumption, such as the rise of video (which has orders of magnitude higher production costs than text) and decline of hobbyist content creation. In 2006, my business had significant competition for keywords from individual teachers' sites, where Mrs. Smith decided (back in 1996) to put up a web page to try out this new Internet thing on her computer. In 2021, there will be many less sites created by Mrs. Smiths, because Mrs. Smith in 2011 now has an iPad to watch her Khan Academy videos on, and the iPad is virtually useless for creating websites. I'm already seeing anecdotal behavioral changes in my customers ("Say, how do I hook a printer up to an iPad so I can make my cards from there? I hate turning on the computer -- I think it has a virus or something, and it is slow. "), and ordinarily they're quite behind the curve. Additionally, while Mrs. Smith had sufficient dedication to the niche to target the most common activities, she never made more than 5 or so pages about bingo. I have about a thousand bingo activities, created with focused application of custom software by freelancers. The content farms are making me look practically lazy with their scale of publication. This suggests an obvious route for improvement for me: if it is stupidly profitable for me to pay $200 to Google so that it can pay $130 to eHow so that it can pay $50 to freelance writers to create 5 pages, why don't I just take the $200 and pay freelance writers to write those same 5 pages... and then 15 more? The only thing which has stopped me from doing it so far is concern about polluting the Internet. But the economic attraction of doing it is undeniable. If the choice is a user getting their bingo content from an anonymous freelancer at eHow working through their queue of 400 articles for the week or getting it from someone who is only employed to write bingo articles, shouldn't they get it from me? This dilemma, repeated a thousand times across a thousand markets, is going to create the Internet of 2020. Break out your straw hats, folks: we are all going to be farming or, at best, a step removed from farming by paying intermediaries (Google and the farms) to do our farming for us. The main distinction is going to be between successful execution of farming strategies (like eHow) and poor execution of farming strategies (like their competitors who recently got whacked). Can Google just tighten the screws with another Son of Panda update? That is unlikely to work unless they repeal the laws of economics: farming happens on every topic for which the supply and demand curve crosses. Slashing content farm's ability to rank across the board by 40% just makes a fraction of the content space monetarily unattractive to them, but the content space is virtually infinite and the ability to monetize attention is increasing all the time. If Groupon will pay for remnant inventory on a page about How To Pick Your Nose, who will compete for that attention except a content farm? Is that the Internet I want? Probably not. But then again, I'm privileged -- as a geek, my interests in content will always be well represented on the Internet, even without monetary incentives to create it. People will go to StackOverflow to answer my questions before I've even asked them, they'll create Starcraft XII walk-through videos, they'll even write software, all without seeing a penny for it. The experience for less privileged folks, though, demonstrably sucked at the dawn of the Internet, and it is not obvious to me that removing most of the growth in content responsive to their needs is a net win for them. We might see an Internet where the content-rich win and everybody else gets farming. Like I said... dystopian sci-fi. Patrick McKenzie runs a small software business. When not blogging or taking over the worldwide printable bingo cards market, he is working on his new venture, Appointment Reminder. Is the Huffington Post Google's Favorite Content Farm? I was looking for information about the nuclear reactor issue in Japan and am glad it did not turn out as bad as it first looked! But in that process of searching for information I kept stumbling into garbage hollow websites. I was cautious not to click on the malware results, but of the mainstream sites covering the issue, one of the most flagrant efforts was from the Huffington Post. We were told that the content farm update was to get rid of low quality web pages & yet that information-less page was ranking at the top of their search results, when it was nothing but a 3rd party tweet wrapped in brand and ads. How does Huffington Post get away with that? If you make it past Google's arbitrary line in the sand there is no limit to how much spamming and jamming you can do. (G)arbitrage never really goes away, it just becomes more corporate. The problem with Google arbitrarily picking winners and losers is the winners will mass produce doorway pages. With much of the competition (including many of the original content creators) removed from the search results, this sort of activity is simply printing money. As bad as that sounds, it is actually even worse than that. Today Google Alerts showed our brand being mentioned on a group-piracy website built around a subscription model of selling 3rd party content without permission! As annoying as that feels, of course there are going to be some dirtbags on the way that you have to deal with from time to time. But now that the content farm update has went through, some of the original content producers are no longer ranking for their own titles, whereas piracy sites that stole their content are now the canonical top ranked sources! Google never used to put piracy sites on the first page of results for my books, this is a new feature on their part, and I think it goes a long way to show that their problem is cultural rather than technical. Google seems to have reached the conclusion that since many of their users are looking for pirated eBooks, quality search results means providing them with the best directory of copyright infringements available. And since Google streamlined their DMCA process with online forms, I couldn’t discover a method of telling them to remove a result like this from their search results, though I tried anyway. Media is all about profit margins. eHow was originally founded in 1998 & had $36 million in venture capital behind it. But the original cost structure was flawed due to high content costs. The site failed so badly that it was sold in 2004 for $100,000. The original site owners had GoogleBot blocked. Simply by unblocking GoogleBot and doing basic SEO to existing content the site had a revenue run rate of $4 million Dollars within 2 years, which allowed the site to be flipped for a 400-fold profit. Demand Media bought it in 2006 and has pushed to scale it while making cheaper and lower quality content. Demand Media has since gone public with a $1.5+ billion valuation based largely on eHow. Just prior to the DMD IPO Google's Matt Cutts wrote a warning about content mills on the official Google blog. People are arguing if Demand Media is overvalued at its current valuation, and at one point the NYT was debating buying Demand Media by rolling About.com into Demand & own 49% of the combined company. But the salient point to me is that we are talking about something that was bought for only $100,000 7 years ago. Sure the opportunities today may be smaller scale and different, but if you see value where others do not then recycling something that has been discarded can be quite valuable. The key, he said, was to keep costs low. If possible, don't pay for the intellectual content. Look for material, he urged, on which the copyright has expired. Any book published in the U.S. before 1923 was available. He said he was in the process of turning vanloads of old books into websites. With a few hours of labor, for example, you could take a turn-of-the-century Creole cookbook and transform it into the definitive site for vintage Creole recipes. Google's AdSense program would then load the thing up with ads for shrimp and cooking pots and spices and direct people looking for shrimp recipes to your website. A spin on the above, LoveToKnow has published a 1911 encyclopedia online. And ArticlesBase (an article farm which built up its popularity by linking to contributior sites) now slaps nofollow on all outbound links & is pulling in a cool $500k per month! How did ArticlesBase grow to that size? It and Ezinearticles were a couple of the "selected few" which lasted through the last major burn down of article directories about 3 or 4 years ago. But it seems their model has peaked after this last Google update. Microsoft also got in on the bashing, with Harry Shum highlighting that Google was funding web pollution. When Blekko's model is based on claiming Google polluted the web with crap, Microsoft says the same thing, and there is a rash of end user complaints, there are few independent experts the media can call upon to talk about Google - unless they decide to talk to SEOs, who tend to be quite happy to highlight Google's embarrassing hypocrisy. Freelance writers may claim that marketing is what screwed up the web, but ultimately Google has nobody credible and well known to defend them at this point. The only people who can defend Google's approach are those who have a taste in the revenue stream. Hence why Google had to act against content farms. Google stepping up their public relations smear campaigns against Bing and others is leaving Google looking either hypocritical or ignorant in many instances, like when a Google engineer lambasted an ad network without realizing Google was serving the scam ad. While on the content farm topic, it is worth mentioning that Answers.com was bought for $127 million & there is also a bunch of news about Ask's strategy in the Ask section near the bottom of this newsletter. On the social end of the answer farm model, Facebook was rumored to be looking into the space & Twitter bought a social answer service called Fluther. Even Groupon seems to be looking at the space. Quora is well hyped on TechCrunch, but will have a hard time expanding beyond the tech core it has developed. At first glance StackExchange's growth looks exciting, but it has basically gone nowhere outside of the programming niche. In my opinion they are going to need to find subject matter experts to lead some of their niche sites & either pay those experts or give them equity in the sites if they want to lead in other markets. Worse yet, few people are as well educated about online schemes as programmers, so the other sites will not only lack leadership, but will also be much harder to police. Just look at the junk on Yahoo! Answers! There are Wordpress themes and open source CMS tools for QnA sites, but I would pick a tight niche early if I was going to build one as the broader sites seem to be full of spam and the niche sites struggle to cross the chasm. As of writing this, fewer than 50 Mahalo answers pages currently indexed in Google have over 100 views. It flat out failed, even with financial bribes and a PR spin man behind it. At the organizational level, Google is essentially chaos. In search quality in particular, once you've demonstrated that you can do useful stuff on your own, you're pretty much free to work on whatever you think is important. I don't think there's even a mechanism for shifting priorities like that. We've been working on this issue for a long time, and made some progress. These efforts started long before the recent spat of news articles. I've personally been working on it for over a year. The central issue is that it's very difficult to make changes that sacrifice "on-topic-ness" for "good-ness" that don't make the results in general worse. You can expect some big changes here very shortly though. A good example of the importance of padding out results with junk on-topic content to aid perceived relevancy can be seen by looking at the last screenshot of a search result here. Blekko banned the farms, but without them there is not much relevant content that is precisely on-topic. (In other words, content farms may be junk, but it is hard to have the same level of perceived relevancy without them). Google created a Chrome plugin to solicit end user feedback on content mills, but that will likely only reach tech savvy folks & the feedback is private. Google can claim to use any justification for removing sites they do not like though, just like they do with select link buying engagements. Look the other way where it is beneficial, and remove those which you personally dislike. Singhal did say that the company added numerous “signals,” or factors it would incorporate into its algorithm for ranking sites. Among those signals are “how users interact with” a site. Google has said previously that, among other things, it often measures whether users click the “back” button quickly after visiting a search result, which might indicate a lack of satisfaction with the site. In addition, Google got feedback from the hundreds of people outside the company that it hires to regularly evaluate changes. These “human raters” are asked to look at results for certain search queries and questions such as, “Would you give your credit card number to this site?” and “Would you take medical advice for your children from those sites,” Singhal said. One interesting way to evolve the content farm model is through the use of tight editorial focus, a core handful of strong editors, and wiki software. WikiHow was launched by a former eHow owner, and when you consider how limited their relative resources are, their traffic level and perceived editorial quality are quite high. 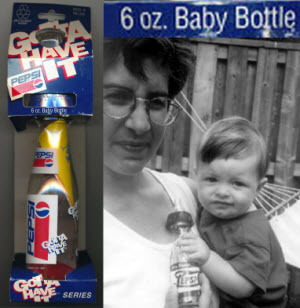 Jack Herrick has struck how-to gold twice! AOL purchased The Huffington Post for $315 million. Here are some reviews of that purchase. The following analysis is a bit rough, but I still think it is spot on - contrary to popular belief, most of Huffington Post's pageviews are still driven by their professionally sourced content. In addition to general content farms, Google is fighting a war against scraper websites. One such algorithmic update has already been done against sites repurposing content, and the content farm algorithm just recently went live & whacked a bunch of content farms. Check out the top losers from Sistrix's data. Notice any content farms missing from the above list? Maybe the biggest one? 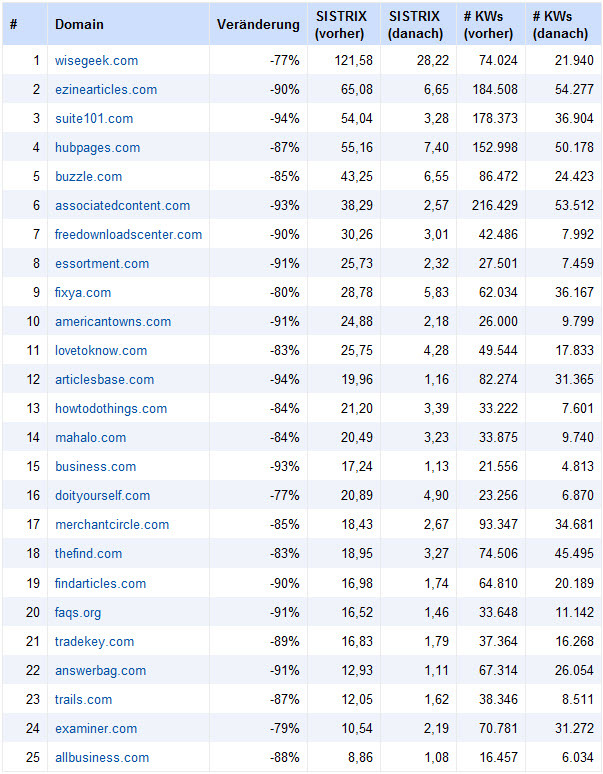 Here is a list of some of eHow's closest competing sites (based on keywords, from SEM Rush). The ones in red got pummeled, the ones in yellow dropped as well & were fellow Demand Media sites, and the ones in green gained traffic. Jason "will do anything for ink" Calacanis recently gave an about face speech claiming people need to step away from the content farm business model, and in doing so admitted that roughly everything he said about Mahalo over the past couple years was a complete lie. Surprise, surprise. The interesting bit is that the start up community - which used to fawn over his huckster PR driven ploys - no longer buys them. Jason claimed to have "pivoted" his business model again, but once again we see more garbage content. His credibility has been spent. And so have his rankings! Sistrix shows that not only is he ranking for fewer keywords, but that the graph has skewed downward to worse average positions. After the Crash, What is Next? The biggest content farms like Ask & eHow will still do well in the short run. Over the long run I see Google bringing the results of content farms to the attention of book publishers & then working to slowly rotate out from farmed content to published book content. Most readers do not know that most book writers are lucky if they earn $10,000 writing a 300 or 400 page tome. Publishers tell book authors that with the additional exposure they can often sell lots more other things, but unless the content is highly targeted that might not back out well for the author. But that cheap content is far better structured and far more vetted than the mill stuff is. Over the past week I have been seeing more ebooks in the search results, though I am not entirely sure if that is just because I am searching for more rare technical stuff that simply might not be online. I highlighted Google's hypocritical position in judging intent with links while claiming they need an algorithmic approach to content farms. But nobody is thinking beyond the obvious question. Everyone wants to know who Google punished the most, but nobody is asking who gained the most from this update. Demand Media put out a statement that their traffic profile did not change materially. But what they didn't mention is that eHow's rankings are actually up! In fact, their new distribution chart looks just like their old one, only skewed a bit to the left with higher rankings. eHow's profile is 15% better than it was before the update & the only site which gained more traffic from this update than eHow did was Youtube. People may have been sorta aware of garbage content & saw it ranking, but were apathetic about it. Most people are far more passive consumers of search than they believe themselves to be - when the default orders switch people still tend to click the top ranked result. It was only when eHow started branding itself as a cheap and disposable answer factory that people started to become outraged with their business model. Demand Media further benefited from flagrant spammy guideline violations, like 301 redirecting expired domains into deep eHow pages. People I know who have done similar have seen their sites torched in Google. But eHow is different! We really want to let Google speak for themselves. Whatever Matt Cutts and Google want to (say) about quality we totally support that because again that’s their corporate interest. What we said and would have said is we applaud Google removing duplicate content ... removing shallow, low quality content because it clogs the search results. Both we and Google are 100 percent focused on making the consumer happy. It’s the right thing to do and it’s good for our business. If you syndicate Google's spin you can get away with things that a normal person can't. Which is why eHow renounced the content farm label even faster than they created it. Article directories & topical hub sites have been online since before eHow was created. But eHow's marketing campaign was so caustic & so toxic that it literally destroyed the game for most of their competitors. Long live the content farm! ...too bad Google is not! Google just did their first content farm update & Mahalo appears to have taken a swan dive in the search results, freeing up space for higher quality websites. Currently this update is US only, so if you are outside of the United States you may need to get a US VPN or add &gl=us to your search string's results on Google (likeso). Recent updates have had a variety of impacts and implications outside of content mills. When it comes to buying links, Google not only fights it with algorithms, but also ran a 5-year long FUD campaign, introduced nofollow as a proprietary filter, encouraged webmasters to rat on each other, and has engineers hunting for paid links. On top of that, Google's link penalties range from subtle to overt. Google claims that they do not want to police low quality content by trying to judge intent, that doing so would not be scalable enough to solve the problem, & that they need to do it algorithmically. At the same time, Google is willing to manually torch some sites and basically destroy the associated businesses. Talk to enough SEOs and you will find stories of carnage - complete decimation. Content farms are driven by economics. Make them unprofitable (rather than funding them) and the problem solves itself - just like Google AdWords does with quality scores. Sure you can show up on AdWords where you don't belong and/or with a crappy scam offer, but you are priced out of the market so losses are guaranteed. Hello $100 clicks! How many content farms would Google need to manually torch to deter investment in the category? 5? Maybe 10? 20 tops? Does that really require a new algorithmic approach on a web with 10's of millions of websites? When Google nuked a ton of article banks a few years back the damage was fairly complete and lasted a long time. When Google nuked a ton of web directories a few years back the damage was fairly complete and lasted a long time. These were done in sweeps where on day you would see 50 sites lose their toolbar PageRank & see a swan dive in traffic. Yet content farms are a sacred cow that need an innovated "algorithmic" approach. 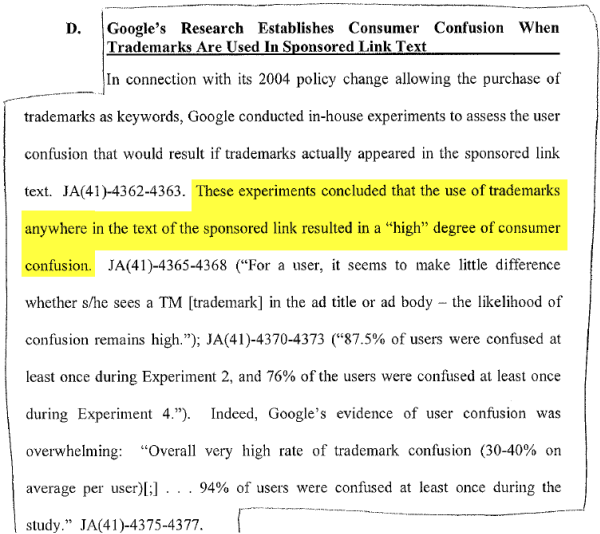 The Forrester report discusses a recent “sponsored conversation” from Kmart, but I doubt whether mentions that even in that small test, Google found multiple bloggers that violated our quality guidelines and we took corresponding action. Those blogs are not trusted in Google’s algorithms any more. One post and the ENTIRE SITE got torched. How many garbage posts have you seen on content farms? When you look at garbage content there are hundreds of words on the page screaming "I AM EXPLOITATIVE TRASH." Yet when you look at links they are often embedded inline and there is little context to tell if the link is paid or not, and determine if the link was an organic reference or something that is paid for. 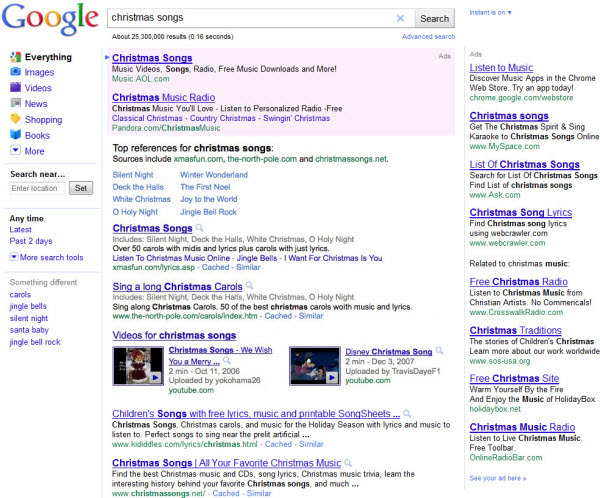 Why is it that Google is comfortable implying intent with links, but must look the other way when it comes to content? The Yahoo platform aims to draw from a user’s declared preferences, search items, social media and other sources to find and highlight the most relevant content, according to the people familiar with the matter. It will be available on Yahoo’s Web site, but is optimized to work as an app on tablets and smartphones, and especially on Google Android and Apple devices, they said. AOL made a big splash when they bought TechCrunch for $25 million. When AOL's editorial strategy was recently leaked it highlighted how they promoted cross linking their channels to drive SEO strategy. And, since acquisition, TechCrunch has only scaled up on the volume of content they produce. In the last 2 days I have seen 2 advertorials on TechCrunch where the conflicting relationship was only mentioned *after* you read the post. One was a Google employee suggesting Wikipedia needs ads, and the other was some social commerce platform guy promoting the social commerce revolution occurring on Facebook. Being at the heart of technology is a great source of link equity to funnel around their websites. TechCrunch.com already has over 25% as many unique linking domains as AOL.com does. One of the few areas that is more connected on the social graph than technology is politics. AOL just bought Huffington Post for $315 million. The fusion of political bias, political connections, celebrity contributors, and pushing a guy who promoted (an ultimately empty) promise of hope and change quickly gave the Huffington Post even more link equity than TechCrunch has. Thus they have the weight to do all the things that good online journalism is known for, like ads so deeply embedded in content you can't tell them apart, off-topic paginated syndicated duplicate content and writing meaningless posts devoid of content based on Google Trends data. As other politically charged mainstream media outlets have shown, you don't need to be factually correct (or even attempt honesty) so long as your bias is consistent. Ultimately this is where Google's head in the sand approach to content farms backfired. When content farms were isolated websites full of trash Google could have nuked them without much risk. But now that their is a blended approach and content farms are part of public companies backed by politically powerful individuals, Google can't do anything about them. Their hands are tied. Much like the middle class has been gutted in the United States, Ireland (and pretty much everywhere that is not Iceland) by economic policies that gut the average person to promote banking criminals, we are seeing the same thing happen online to the value of any type of online journalism. As we continue to ask people to do more for less we suffer through a lower quality user experience with more half-content that leaves out the essential bits. The other thing destroying journalism is not only lean farms competing against thick and inefficient organizations for distribution, but also Google pushing to control more distribution via their various data grabs: Youtube video & music, graphical CPA ads in the search results, lead generation ads in the search results, graphic AdSense ads on publisher sites that drive searches into those lead generation funnels, grouping like data from publishers above the organic search results, offering branded navigational aids above the organic search results, acquiring manufacturer data, scraping 3rd party reviews, buying sentiment analysis tools, promoting Google maps everywhere, Google product pages & local review pages, extended ad units, etc. If most growth in journalism is based on SEO & Google is systematically eating the search results, then at some point that bubble will get pricked and there will be plenty of pain to go around. My guess is that in 3 to 4 years the search results become so full of junk that Google pushes hard to rank chunks of ebooks wrapped in Google ads directly in the search results. Books are already heavily commoditized (it's amazing how much knowledge you can get for $10 or $20), and given that Google already hard-codes their ebooks in the search results, it is not a big jump for them to work on ad deals that pull publishers in. It follows the trend elsewhere "Free Music Can Pay as Well as Paid Music, YouTube Says." one day Michael Arrington called and hired me at TechCrunch. "You keep beating us to stories," he told me. I was able to do that because I was getting RSS feeds from key vendors in our market delivered by IM and SMS. That's standard practice among tech bloggers now, but at the time no one else was doing it, so I was able to cover lots of news first. Another benefit to publishers is that as the web becomes more polluted people will become far more likely to pay to access better content and smaller + tighter communities. Spam reports are prioritized by looking at how much visibility a potentially spammy site has in our search results, in order to help us focus on high-impact sites in a timely manner. For instance, we’re likely to prioritize the investigation of a site that regularly ranks on the first or second page over that of a site that only gets a few search impressions per month. Given the widely echoed complaints on content farms, it seems Google has a different approach on content farms, especially considering that the top farms are seen by millions of searchers every month. If end users can determine when links are paid (with limited context) then why not trust their input on judging the quality of the content as well? 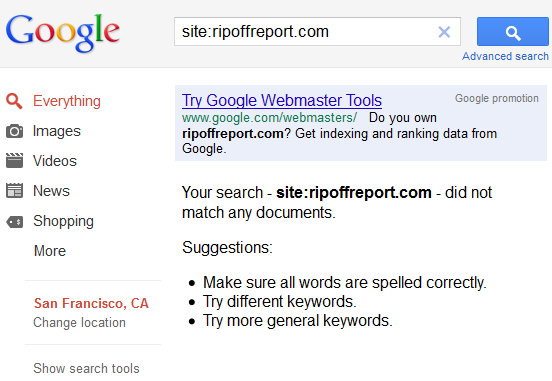 The Google Toolbar has a PageRank meter for assessing link authority. Why not add a meter for publisher reputation & content quality? I can hear people saying "people will use it to harm competitors" but I have also seen websites torched in Google because a competitor went on a link buying spree on behalf of their fellow webmaster. At least if someone gives you a bad rating for great content then the content still has a chance to defend its own quality. With link stuff there is a final opinion and that is it. Not only are particular techniques of varying levels of risk, but THE prescribed analysis of intent depends on who is doing it! A Google engineer saw an SEO blog about our affiliate program passing link juice and our affiliate links stopped passing weight. (I am an SEO so the appropriate intent is spam). Then something weird happened. A few months later a Google engineer *publicly* stated that affiliate links should count. 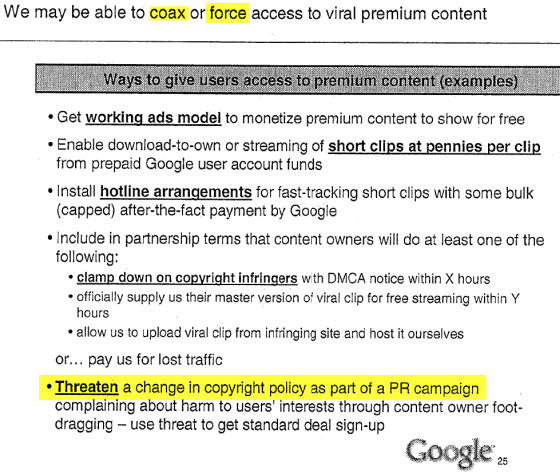 A few years later Google invested in a start up which turns direct links into affiliate links while hiding the paid compensation in the background. (Since Google is doing it the intent is NOT spam). Some of the content mills benefit from the benefit-of-doubt. Jason Calacanis lied repeatedly about "experimental pages" and other such nonsense. But when his schemes were highlighted he was offered the benefit of the doubt. eHow also enjoys that benefit of the doubt. It doesn't matter that Demand Media's CEO was the chairman of an SEO consulting company which sold for hundreds of millions of Dollars. What matters is the benefit of the doubt (even if his company flagrantly violates quality guidelines by doing bulk 301 redirects of EXPIRED domains into eHow ... something where a lesser act can put you up for vote on a Google engineer's blog for public lynching). The algorithm. They say. It has opinions. A Bing engineer accused Google of funding web pollution. Blekko invites end users to report spam in their index, and the first thing end-users wanted booted out was the content mills. But Google need to be "algorithmic" when the problems are obvious and smack them in the face. And they need to "imply intent" where the problems are less problematic & nowhere near as overt. Is the following an SEO strategy? How is this different to what a Content Farm does? So, if Content Farm pages are undesirable, so too is SEO content? Perhaps people take issue with low-quality content. The problem with arguments about quality is that such arguments are subjective. Is Wikipedia quality? How about the Huffington Post? Wikipedia is full of inaccuracies, and the Huffington Post is not above fixating on trivia, like what - or who - Charlie Sheen did in the weekend. These exact same criticisms are often leveled against Content Farms. One could argue that those two sources at least attempt to provide a high degree of quality, most of time. However, quality is in the eye of the beholder. eHow may not be to everyone's taste, but it isn't true to say eHow is all worthless, to all people, all of the time. Perhaps some people don't want to wade through the dense academia of Wikipedia. They simply want someone to tell them what that weird spot is on their cat's mouth. "The articles in content farms are written by human beings but may not be written by a specialist in the area" The same could be said of many newspapers, websites and magazines. So what? "Content farms are criticized for providing relatively low quality content as they maximize profit by producing just "good enough" rather than best possible quality articles". If that criteria was applied to all publishers, most would disappear overnight. "A typical content writer is a female with children that contrasts with sites expecting voluntary unpaid contribution for the sake of idea....." . Seriously, WTF? Now, I'm not saying I like the fact that Google searches often return fluff content. But that problem is a direct result of the economics of the web. It's difficult to publish "quality" web content that provides a return to the writer, so it shouldn't come as any surprise that publishers either drive down the cost of production, erect pay-walls, or simply never publish in the first place. Criticism regarding Content Farms appears to be coming from two camps. One camp consists of professional journalists and established publishers. This is hardly surprising, as the Content Farms are undermining their publishing model. If the reader doesn't care much about standards, then it's difficult to charge a premium for them. The other camp is SEOs, which is odd, given that Demand Media appears to be built around an applied SEO model. Perhaps some people just don't like the competition. I guess the important aspect, as far as SEOs are concerned, is how Google defines a Content Farm, and what they intend to do about them. "As “pure webspam” has decreased over time, attention has shifted instead to “content farms,” which are sites with shallow or low-quality content. In 2010, we launched two major algorithmic changes focused on low-quality sites. Nonetheless, we hear the feedback from the web loud and clear: people are asking for even stronger action on content farms and sites that consist primarily of spammy or low-quality content." Matt's definition of spam has been reasonably consistent over the years, and is detailed on Google's Webmaster Guidelines. The interesting bit is Google's definition of "low-quality content". Well, it would be if they would tell us, but they don't. Put it this way. Any algorithm that takes out Demand Media content is going to take out a lot of SEO content, too. SEO copy-writing? What is that? That's what Demand Media do. As I outlined in the first paragraph, a lot of SEO content in not that different, and any algorithm that targets Demand Media's content isn't going to see any difference. Keyword traffic stream identical to title tag? Yep. A couple of hundred words? Yep. SEO format? Yep. Repeats keywords and keyword phrases a few times? Yep. Contributes to the betterment of mankind? Nope. SEO's need to be careful what they wish for. Barry reports Google hasn't rolled out their Content Farm algo, if indeed there is such a thing: "After we spoke with Matt Cutts today, we learned that the new algorithm that went live last week is related to blocking low quality content scraper sites and not content farms". Search can be used as a wedge in a variety of ways. Most are perhaps poorly understood by the media and market regulators. When Google Checkout rolled out, it was free. Not only was it free, but it came with a badge that appears near AdWords ads to make the ads stand out. That boosts ad clickthrough rates, which feeds into ad quality score & acts as a discount for advertisers who used Google Checkout. If you did not use Google's bundled services you were stuck paying above market rates to compete with those who accepted Google's bundling discounts. And all the while Google was doing the above bundling (as they still are to this day) they were also lobbying in Australia about Paypal's dominant market position. eBay (which owns Paypal) is one of Google's 5 largest advertisers. Companies spend billions of Dollars every year building their trademarked brands. But if they don't pay Google for existing brand equity then Google sells access to that stream of branded traffic to competitors, even though internal Google studies have shown it causes confusion in the marketplace. Copyright protects the value of content. To increase the cost of maintaining that value, DoubleClick and AdSense fund a lot of copy and paste publishing, even of the automated variety. Sure you can hide your content behind a paywall, but if Google is paying people to steal it and wrap it in ads how do you have legal recourse if those people live in a country which doesn't respect copyright? You can see how LOOSE Google's AdSense standards are when it comes to things like copyright and trademarks by searching for something like "bulk PageRank checker" and seeing how many sites that violate Google's TOS multiple ways are built on cybersquatted domain names that contain the word "PageRank" in them. There are also sites dedicated to turning Youtube videos into MP3's which are monetized via AdSense. Google bought Youtube and then swiftly rolled out universal search, which dramatically increased the exposure of Youtube. Only recent heat & regulatory review has caused Google to add more prominent links to competing services, nearly a half-decade later. Knol was pushed as a way to revolutionize how people share information online. But it went nowhere. Why? Google got caught with their hand in the cookie jar, so they couldn't force the market to eat it. Philosophically Google believes in (and delivers regular sermons about) an open web where companies should compete on the merit of their products. And yet when Google enters a new vertical they *require* you to let them use your content against you. If you want to opt out of competing against yourself Google say that is fine, but the only way they will allow you to opt out is if you block them from indexing your content & kill your search traffic. From a public relations standpoint & a legal perspective I don't think it is a good idea for Google to deliver all-or-nothing ultimatums. Ultimately that could cause people in positions of power to view their acts as a collection which have to be justified on the whole, rather than on an individual basis. Lucky for publishers, technology does allow them to skirt Google's suggestions. If I ran an industry-leading review site and wanted to opt out of Google's all-or-nothing scrape job scam, my approach would be to selectively post certain types of content. Some of it would be behind a registration wall, some of it would be publicly accessible in iframes, and maybe just a sliver of it is fully accessible to Google. That way Google indexes your site (and you still rank for the core industry keywords), but they can't scrape the parts you don't want them to. Of course that means losing out on some longtail search traffic (as the hidden content is invisible to search engines), but it is better than the alternatives of killing all search traffic or giving away the farm.